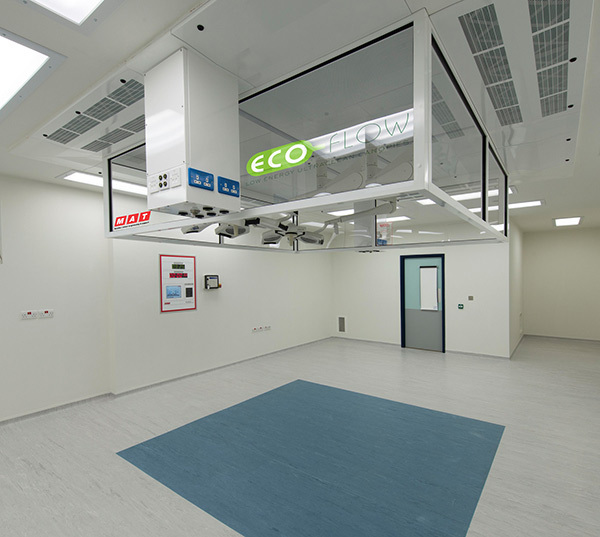 Of the hospital’s nine operating theatres, four now have an MAT ECO-flow ultraclean ventilation (UCV) canopy, allowing a full range of procedures to be carried out, including orthopaedic surgery. 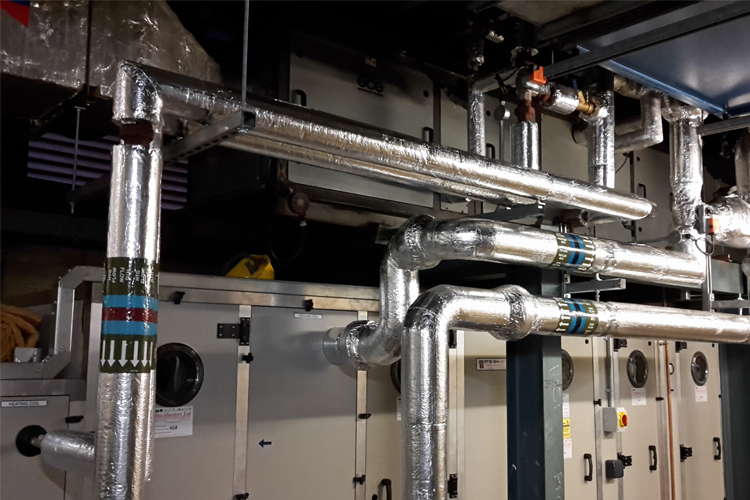 The work was completed in just two months, including stripout and commissioning of the final system, and theatre shutdown time was kept to an absolute minimum. 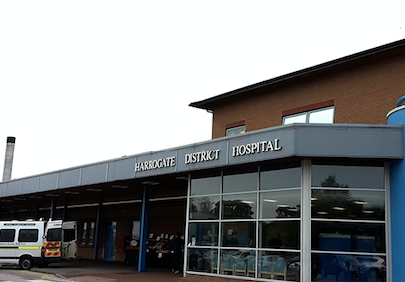 Close collaboration between hospital staff and the team from MAT ensured there was no impact on patient care while the upgrade was underway. 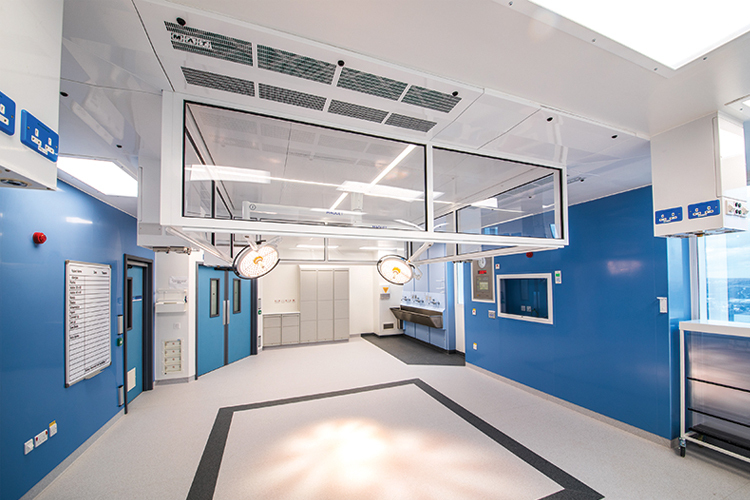 Theatres 3 and 4 already had MAT laminar flow canopies, which had been performing very successfully since they were installed. However, technology has advanced and their replacement with MAT’s ECO-flow canopies was a major part of the refurbishment. The innovative and advanced ECO-flow is engineered to significantly reduce energy usage and cost, without any reduction in the level of performance. 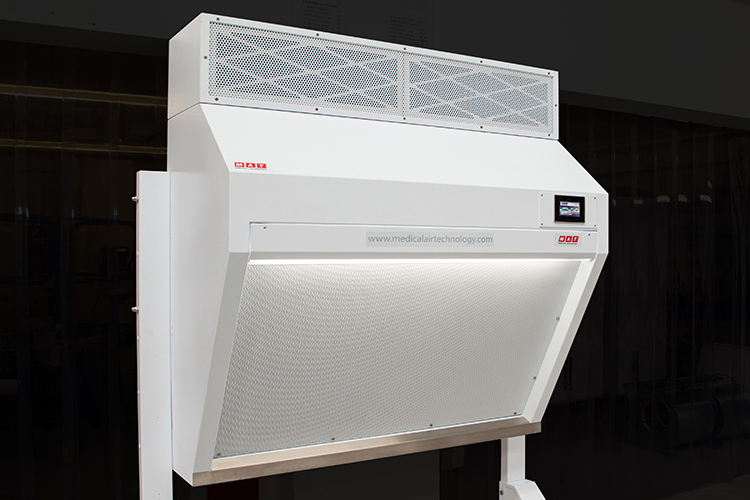 The system uses up to 60% less power than other similar canopies, even in full ultraclean mode. Energy efficiency is achieved through innovative internal design and the introduction of infinitely variable-speed DC motors, while highly efficient centrifugal fans reduce the energy drain required for cooling. The introduction of LED cruciform lighting also improves energy efficiency. The new user-friendly canopies offer larger clean zones and are exceptionally quiet, enhancing the operating experience for clinical staff. 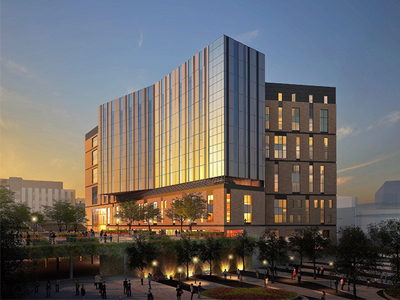 This total turnkey project also included a major stripout and replacement of ductwork, new air handling units, operating lights, ductwork and fire dampers, BMS control panels, medical gas pendants, touch screen surgeons’ or theatre control panels, PACS viewers, and IPS and UPS electrical systems. 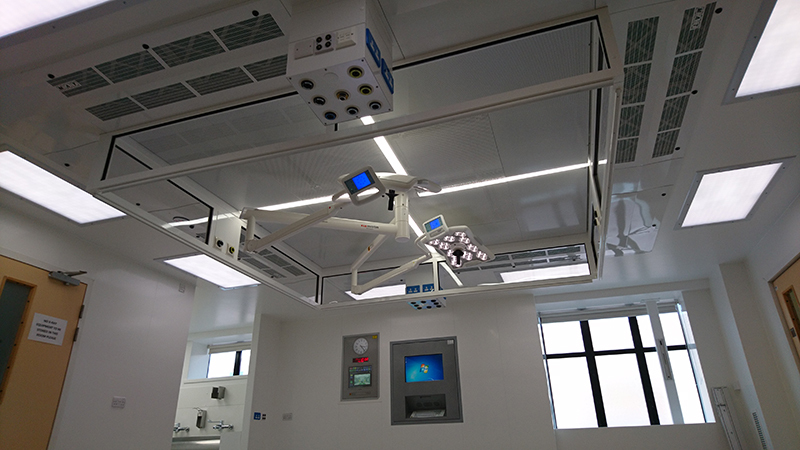 Both anaesthetic rooms were also upgraded to improve the patient journey through the theatres. New vinyl flooring, ceilings, hygienic wall cladding and LED general lighting throughout completed the upgrade of this fully HBN and HTM-compliant theatre suite. MAT offers a wide breadth of services that mean is it able to respond flexibly and quickly to the specific needs of each client. 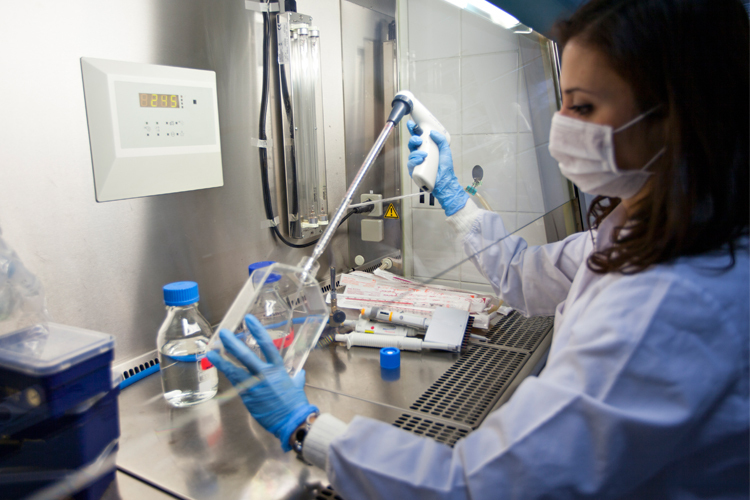 With its own manufacturing facility and dedicated team of highly skilled engineers, the company manufactures and supplies bespoke equipment for demanding clinical arenas. 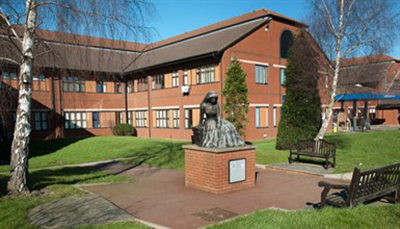 Clients choosing the total turnkey solution, as the George Eliot Hospital NHS Trust did, gain from having a single point of contact to project manage the entire installation, resulting in benefits such as improved co-ordination, faster response, continuity of drawings, better communication between people and products, and streamlined logistics. 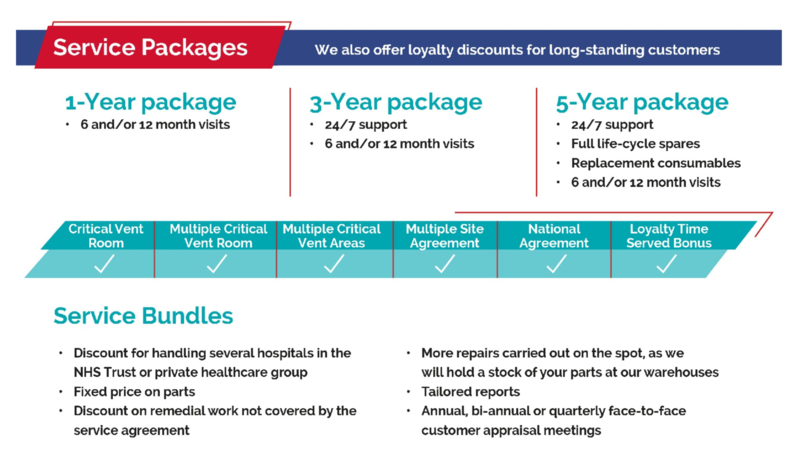 MAT also offers “equipment only” packages, delivered working closely with the main contractor. 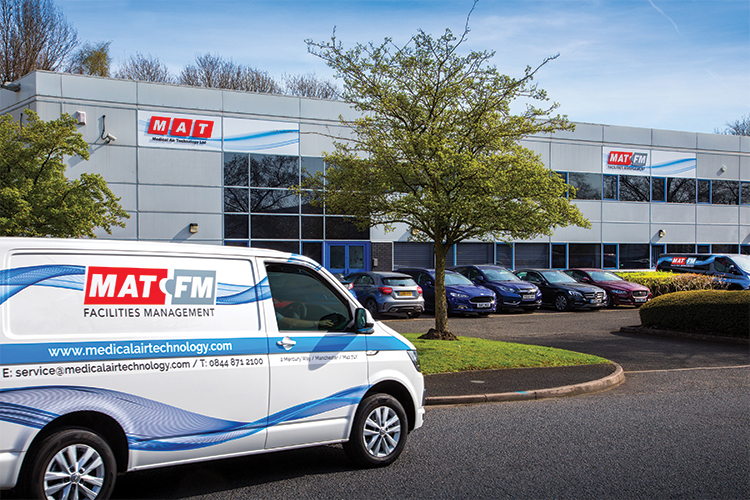 In addition, MAT FM can provide a range of competitively priced and highly effective service and maintenance packages for all core products and turnkey solutions offered by MAT or other suppliers, ensuring that equipment is maintained, serviced and validated correctly for optimum performance. 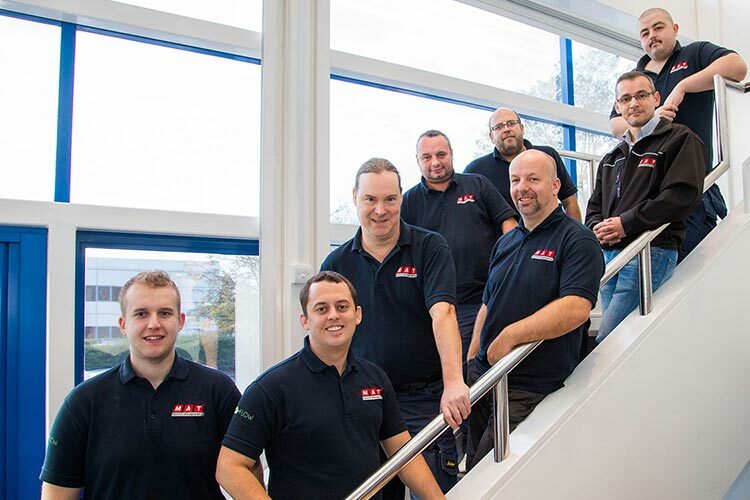 How can a specialist contractor take your project to the next level?